Right now this LeapFrog - LeapPad Ultimate - 7" - Tablet - 8GB $79.99 (Retail $99.99). 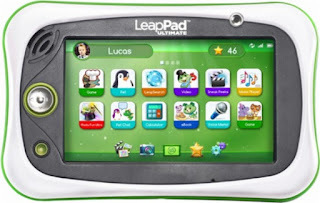 Foster fun learning for your child with this LeapFrog LeapPad Ultimate tablet. It's preloaded with educational content and games suitable for ages 3-9, and its Just for Me learning technology automatically sets personalized learning levels appropriate for your child. The kid-friendly browser on this LeapFrog LeapPad Ultimate tablet provides expert-approved web search results.